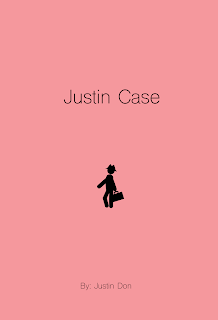 Justin Case is a book about a lawyer living in a fictional world called Hearth. Case strives for his dream of becoming the Attorney General of the United States of America, the most powerful lawyer in the world. Thing is, in the world Case lives in lawyers have a different job than they do in our world. In Case's world, lawyers take on 'cases' and fight against other lawyers in court, and when I say lawyers fight other lawyers in court that is no exaggeration. Due to the actions of a charismatic ex-president and the emergence of a new species of humans called 'deus homine,' the state of human civilization on Hearth is in a chaotic state. By becoming Attorney General, Case believes he can help put things back to their natural order. FOR MORE DETAILS WATCH THIS VIDEO!